Sunday, September 11, 2011, 1- 4 pm. On the 100th birthday of acclaimed poet and revolutionary Faiz Ahmed Faiz, Pakistani American Cultural Center and Friends of South Asia invite you to an evening in memory of Faiz, with noted Pakistani constitutional scholar and literary critic Abid Hasan Minto. The evening will also feature a staged reading of a short play titled "Dear Heart", on the life of Faiz and his wife Alys Faiz, a noted writer and activist in her own right. FAIZ was one of the most acclaimed poets of South Asia, born in Sialkot, Pakistan, writing in Urdu & Punjabi. He allied his poetry and person not only with the aspirations of Pakistanis but also with the international movement for peace and human rights. He was awarded the Lenin Peace Prize and was nominated for the Nobel Peace Prize. Abid MINTO is a constitutional expert and senior lawyer of the Supreme Court of Pakistan. He is also a literary critic and a leftwing civic and political leader. He is currently the elected President of the National Workers Party (NWP) in Pakistan. On December 24th, 2010, Dr. Binayak Sen, pediatrician, public health specialist and national Vice-President of the People's Union for Civil Liberties (PUCL) was convicted under blatantly false charges of sedition. Dr. Sen, an activist with a lifelong commitment to the issues of community health and human rights, thus joins dozens of other human rights activists in Indian jails who have also been charged under repressive laws. 14th and 15th August, 2010 mark the 64th anniversary of Pakistan and India’s independence from British rule, and the creation of these two South Asian states. The decades since have seen wars and heated political battles between the two countries, but also attempts to engender peace, including through increased people-to-people contacts. Citizens on both sides of the border have worked to observe and celebrate the region's shared histories and cultures, and to manifest hopes for a just and lasting peace. We are privileged to have with us in San Francisco at this time, four distinguished panelists from the two countries, who will provide for us an overview of the current status of 'official' peace talks, but also the possibilities for a renewed people's peace process. The discussion will include commentary about the relationship of the two countries with the U.S. and with Afghanistan, given the ramifications of these relationships for the geo-politics of the region at large. Nosheen Ali is a social anthropologist, journalist, and activist from Pakistan, and currently a postdoctoral visiting scholar at Stanford University. She has researched extensively on state-building and citizenship struggles in Gilgit-Baltistan -- internationally considered as part of Pakistani Kashmir -- and is currently writing a book on this topic. Nosheen is a founding member of the international network GRASP (Group for Research in the Anthropology, Sociology, and Politics of Pakistan) and serves on the editorial board of the South Asian journal, SAMAJ. She is also the founder of Zamana.org, an upcoming online community for progressive analysis and action on Pakistan. Samar Minallah is a documentary filmmaker, freelance journalist, human rights activist and an anthropologist from Pakistan. She founded Ethnomedia, a non-governmental organization working to enable gender sensitivity and consciousness in Pakistani media. She has made various documentaries on social and cultural issues, and is on the board of PEMRA (Pakistan Electronic Media Regulatory Authority). Samar has been documenting various aspects of Pukhtun culture through print and electronic media. She won the "Perdita Human Rights Activist Award" for her work in advocating against the custom of 'Swara' (where girls are given as compensation to end old disputes). Lalita Ramdas is a noted educator, writer, and an advocate for gender justice and peace, as well as a prominent spokesperson for nuclear disarmament. She was one of the "1000 Peace Women" nominated collectively for the Nobel Peace Prize in 2005. She has led many peace initiatives with students from both India and Pakistan, and with the anti-nuclear and peace movement in India. In 2006, she served as a Judge on the People's Tribunal on Poverty and Debt held at the International People's Forum at Bataam, Indonesia. Lalita is a founding member of the Board of Greenpeace India, and is Chair of the Greenpeace International Board. Admiral L. Ramdas is the former Chief of the Indian Naval Staff (1990-1993). Soon after his retirement, the Admiral began to advocate demilitarization and peaceful resolution of Indo-Pak problems. He was awarded the Ramon Magsaysay Award for Peace and International Understanding in 2004 for "reaching across a hostile border to nurture a citizen-based consensus for peace between Pakistan and India.” He is the chairperson of the Pakistan India People's Forum for Peace and Democracy, and continues to work for people-to-people dialogue, and to reduce or eliminate nuclear arsenals. note: the photo of the young woman above with the poster that reads "We Refuse To Be Enemies" was taken at a peace vigil in San Francisco that was attended by many Indians and Pakistanis. The vigil was organized in the immediate aftermath of the attacks in Mumbai in November 2008. Harsh is Editor of Combat Law, one of a very small handful of periodicals in India to focus on human rights and the law, and the only one to be simultaneously published in English and Hindi. Harsh also serves as one of the two Executive Directors of the Human Rights Law Network, the only Public Interest Law firm in India with a nationwide reach, and one that functions as a collective of lawyers and social activists dedicated to the use of the legal system to advance human rights in India. Harsh obtained his Masters (Sociology), M.Phil and Ph.D. (West Asian Studies) from Jawaharlal Nehru University, New Delhi, between 1990 and 1999. He was a visiting research scholar at Rothberg International School, Jerusalem, and later a post-doctoral fellow with the Political Science department of Hebrew University of Jerusalem between 1999 and 2004. Harsh has written extensively on West Asian Affairs, globalization, environmental and human rights issues for national and international media and journals. Harsh worked as a journalist in India for the PTI (Press Trust of India) from 1995 to 1999, and later as PTI's West Asia correspondent based in Jerusalem and Gaza from where he also contributed to major Indian dailies, TV channels, and BBC for over five years. Dr. Mukul Sinha will share experiences of the past eight years of Jan Sangharsh Manch, a civil liberties organization in India consisting of social and trade union activists and lawyers. This talk will discuss the premise that during the turbulent times of mass violence, minorities have very few options for justice. Advocate Mukul Sinha is one of the founding members of the Jan Sangharsh Manch, a civil rights body that has several successful Public Interest Litigations to its credit in the Gujarat High Court. He unearthed crucial facts about the Godhra carnage and post-Godhra riots in the course of his cross examinations of witnesses. Mukul Sinha is a scientist turned lawyer, holding degrees in MSc (Physics) from the Indian Institute of Technology, Kanpur; and a PhD (Physics) from Physical Research Laboratory in Ahmedabad. Realizing the struggles of industrial workers in Gujarat, he was instrumental in the formation of the Gujarat Federation of Trade Unions. While fighting for the rights of the working class, he ventured to study law and obtained the degree of LLB in 1988. 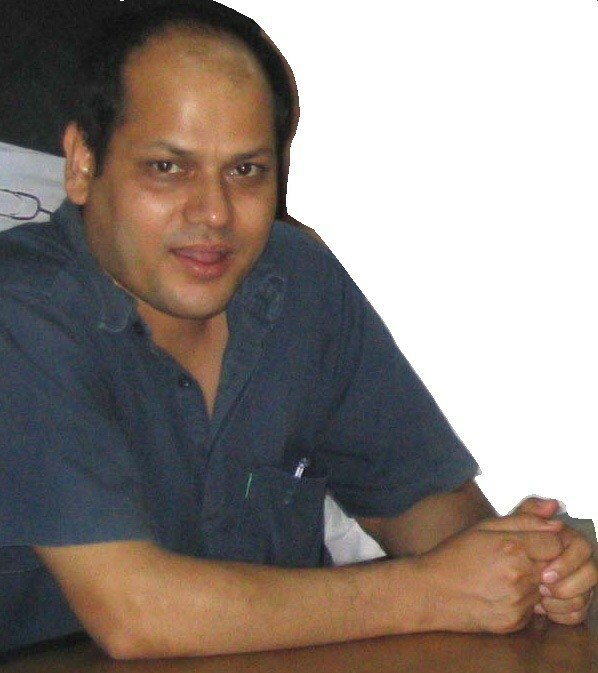 Combining his science and law expertise he presented a research report in the Gujarat High Court which garnered international recognition, titled “Kutch Quake Profile”, seeking orders from the court for incorporating quake resistant design code in the building regulations after the 2001 Gujarat earthquake. Mukul Sinha has also participated in the Nanavati Commission inquiring into the Gujarat violence of 2002. Most recently he has been conducting the “fake encounter” cases of Sohrabuddin, Ishrat Jahan, Javed and Sadik Jamal. Delhi-based legal bimonthly, “Combat Law,” nominated him as its “Human Rights Lawyer of the Year” in 2005. Dr. Mukul Sinha also a founding member of a political formation called the New Socialist Movement (NSM). This website - http://nsm.org.in/ contains information about the NSM, the JSM and the Gujarat Federation of Trade Unions which Mr. Sinha was instrumental in building. In this online interview with Yogi Sikand, Mukul Sinha addresses the failure of organized labor to take on Hindutva. Mr Sinha is currently in the U.S. to attend a workshop about India at MIT titled "Group Violence, Terrorism, and Impunity- Challenges to Secularism and Rule of Law in India". One of the longest rivers in the world, the Indus rises in Tibet, flows west across India, and south through Pakistan. For millennia it has been worshiped as a god; for centuries used as a tool of imperial expansion. Today it is the glue of Pakistan’s fractious union. Empires of the Indus follows the river upstream and back in time, on a voyage through two thousand miles of geography and five millennia of history, through a landscape where the past still resonates today. Alice Albinia read English Literature at Cambridge University. After graduating, she moved to Delhi, where she worked for the next two a half years as a journalist and editor for the Centre for Science & Environment, Biblio: A Review of Books, Outlook Traveller, and several other Indian newspapers and magazines. It was during this time, as she traveled around the country writing articles and features, that she had the idea to write a history of the River Indus. In 2002, she moved back to London to take an MA in South Asian history at the School of Oriental and African Studies, where she researched the religious and political history of the Indus region. Empires of the Indus is Alice Albinia's first book, for which she won a Royal Society of Literature / Jerwood Foundation Special Prize for non-fiction work in progress, a Somerset Maugham Award and the Dolman Travel Prize. When: Monday, May 3rd, 5-7 p.m.
Stephen's Hall, 10 (CSAS Conference Room) When: Sunday, May 2nd, 4-7 p.m.
Talks includes book sale and book signing. Please contact Ijaz Syed (408.838.0952) or Rehman Kakepoto (916.968.4991) for more details. A Staged Reading Performance of"BHOPAL"
Twenty five years after the world's worst industrial disaster, the movement for justice continues. Your help is needed in sustaining the international campaign led by the Bhopalis to bring Union Carbide/Dow Chemical to justice; to secure clean water for their community; and to seek a toxic-free future worldwide. Learn more and consider making a financial contribution to the campaign, at http://www.bhopal.net. TAKE ACTION FOR JUSTICE IN BHOPAL! Tomorrow, December 3, marks the 25th Anniversary of the Bhopal Disaster. Well over 150 direct actions will be taking place on the 25th Anniversary worldwide – for Bhopal, and for a toxic-free future everywhere. Join us for actions in the Bay Area or take action on your own - including call-in and email actions, promote the cause via your social networks, and have conversations with friends and family. Visit http://www.studentsforbhopal.org/bhopal25 to find out how you can help. On Dec 3, 1984, the world's worst industrial disaster was unleashed on Bhopal, India, which claimed the lives of over 25,000 people. Generations of survivors have since been fighting for the clean up of the site and for Dow Chemical and it subsidiary Union Carbide to finally face charges and pay for the damage done. 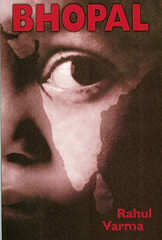 This 25th anniversary will be a day of remembrance, as well as an International Day of Action. Bhopal survivors involved with the International Campaign for Justice in Bhopal (ICJB) have called on all international supporters to organize actions on December 3rd to pressure Dow Chemical to finally send Union Carbide to face criminal charges in India. For Bhopal, and for a toxic-free future everywhere, it’s time for Dow to pay for the clean up and to compensate the survivors. The people of Bhopal need us to speak up for justice. The South Asian melting pot has simmered through the ages, creating exquisite flavors. Culinary influences and food accents brought in by different communities have been embraced over the centuries and the fusion of new and old has resulted in the unique South Asian cuisine--Biryani, Paratha, Idli, Puri, Seekh Kebabs, Dhansak, Kheer--now popular around the world. Join us in an exploration of the language of food, its vocabulary and evolution, its relationship with history and geography and its personal and societal associations. Writers, poets, and other artists will present their original works: stories, essays, poems, slide shows or skits in South Asian languages including English. We will invite the audience to participate by presenting their own narratives and stories about South Asia and the language of food. It has been nearly two years since Dr. Binayak Sen, the well-known public health and human rights activist was imprisoned by the Chhattisgarh government on false charges of abetting activities of an outlawed organization. International and national groups and individuals, including Twenty Two Nobel Laureates, have consistently demanded the release of Dr. Binayak Sen.On March 16, a Satyagraha in the tradition of Mahatma Gandhi and Dr. Martin Luther King Jr. was launched in Raipur, Chhattisgarh, where batches of 50-100 people are courting arrest every week, demanding that Dr. Binayak Sen be released. Endorsed by Friends of South Asia, Alliance of South Asians Taking Action, Association of South Asian Political Activists (UC Berkeley), South Asian Bar Association of Northern California, Jewish Voice for Peace (San Franciso/East Bay and South Bay chapters), Pakistan American Cultural Center, Pakistan Science and Engineering Foundation, Pakistani Tehreek-i-Insaf, Asian American Network against Abuse, Indian Muslim Relief and Charities, South Asia Disaster Relief Coordinators, ASHA for Education (San Francisco chapter), South Bay Mobilization and San Jose Peace and Justice Center. WHERE: San Jose Peace and Justice Center, 48 S 7th St., SAN JOSEUPDATE: Harsh Mander to speak at Film Fest on Sat, Aug 23 (details) FESTIVAL WEEKEND: Sat Aug 23 and Sun Aug 24, 3pm - 7pmpresented by Association for India's Development and Friends of South Asiafeaturing films that depict people's struggles against forces of economic imperialism, corporate globalization, and state's imposition of neo-liberal models of economic development. The crisis in the Pakistani judiciary that began over a year ago, with Pervez Musharraf sacking the Chief Justice on March 9 2007, still continues. In its wake, it has mobilized lawyers, students and social activists in unprecedented numbers, challenged the dictatorial and military rule of General Musharraf, and continues to haunt the political leaders at the helm today. A year ago, on May 12, as the deposed Chief Justice Iftikhar Chaudhry tried to make his way in to Karachi, the city burnt. Supporters of the defiant Chaudhry clashed with the pro-Musharraf Army and local political parties, leaving over 40 people dead, hundreds injured and a city of over 12 million engulfed in unprecedented violence. This event is to mark one year of that carnage, and explore different contexts of the judicial crisis. The event will feature a discussion led by Dr. Tayyab Mahmud, Professor and Associate Dean at Seattle University School of Law, and local panelists Javed Ellahie, Ijaz Syed and Dabbir Tirmizi. The event will be held at 372 Turquoise Rd, Milpitas, and is co-sponsored by Friends of South Asia, Pakistan Tehreek-e-Insaaf, and Pakistan American Congress. On May 13th/14th, 2008 Dr. Binayak Sen, an activist with a lifelong commitment to the issues of community health and human rights, will complete his first year of unjust imprisonment at the Raipur Central jail in Chhattisgarh, India. Organizations across the globe will be holding rallis, candlelight vigils, lectures and similar events on the evening of May 13th, 2008 to mark one year of his imprisonment and call for his release. For more details CLICK HERE. Khawar Mehdi Rizvi is a freelance journalist and filmmaker from Pakistan. He has reported extensively on the rise of Islamic militancy in Pakistan's tribal areas as an aftermath of the Afghan Mujahdeen's armed struggle to expel Soviet Union from Afghanistan--a struggle that was funded and organized by US and its allies including Pakistan. Khawar will talk about the rise of radical Islam in the tribal areas bordering Afghanistan & Pakistan, on the transformation of Pashtun society and comeback of Al Qaeda in the tribal belt. "Silent Revolt" is a 26 minute documentary produced by Khawar Mehdi which attempts to highlight the struggle of Pashtun women against the socio-economic discrimination and oppression of women in Pashtun society both in Pakistan and Afghanistan. The event will be held at Pakistani American Cultural Center, 372 Turquoise St, Milpitas. Noted Indian Human Rights Activist, Shabnam Hashmi will be visiting the San Francisco Bay Area in March 2008. She is the Managing Trustee and Executive Secretary of Act Now for Harmony and Democracy (ANHAD), and amongst the foremost figures in the political battles around secularism and religious fundamentalis in India today. Founded in 2003 in the wake of the Gujarat carnage, ANHAD aims to intervene in the defense of democracy, secularism and justice. Hashmi first became involved in activism in 1981 while working on projects for adult literacy. For over 15 years she served as the Secretary of SAHMAT (Safdar Hashmi Memorial Trust), which was formed in 1989 as a platform for creative action by artists and scholars in defence of democratic and secular traditions in India . She is currently also a member of the National Integration Council of the Ministry of Home Affairs in India and is also a Council Member of the National Literacy Mission. Ayesha Siddiqa Agha, a well known Pakistani researcher and writer, will be visiting the San Francisco Bay Area in February. She is the author of "Military Inc.", a groundbreaking work on the far-reaching economic interests of the Pakistan army. She will be participating in two events in the Bay Area - a talk at Stanford University, titled "America's Pakistan vs. Pakistan's Pakistan: Searching for Options", hosted by the Center for South Asia; and at a panel titled "Pakistan: What Now?" with Dr. Ahmad Faruqui and Ijaz Syed, at Union City Library. Arun Gandhi, grandson of Mahatma Gandhi and founder and President of the M.K. Gandhi Institute of Non Violence at the University of Rochester, who was forced to resign from the Institute after a write-up in a Washington Post blog (On Faith). Gandhi came under immense pressure from groups such as the American Jewish Committee, ADL, as well as right-wing Indian American groups such as Hindu American Foundation. It is disturbing to observe such blatant censorship of a well respected public figure who has over the years done commendable work in the areas of non-violence, inter-faith understanding, racism and prejudice. Please sign a statement condemning this blatant censorship and intimidation. See here for details. Award-winning indigenous journalist Dayamani Barla will visit the San Francisco Bay Area in December 2007. Dayamani Barla, a tribal woman from the Jharkhand region of India, has written about the displacement of tribal peoples from their native lands by developers. Her work is constantly guided by her concern for the plight of the weakest and the most exploited sections of the Indian society. Her Bay Area visit is co-sponsored by Friends of South Asia and the SF Bay Area Chapter of AID. For more details visit the Dayamani Barla Bay Area Visit Home page. On Nov 3, 2007, the military dictator of Pakistan, Gen. Pervez Musharraf, imposed a state of emergency in Pakistan, aborting the long-awaited return to democracy. With the Provisional Constitutional Order (PCO), Mr. Musharraf has authorized himself to rule by decree, suspended fundamental rights in Pakistan, and granted himself unlimited powers. Independent news media has been suspended, and human rights activists, lawyers and other civilians have been arrested. emergency rules and the restoration of the constitution and the rule of law. [Read more of FOSA's statement] We urge everyone to join in condemning this atrocity; providing soldarity and support to the Pakistani Civil Society, and to pressurize the US government to end it's tacit support of Gen. Musharraf. Related Links Pakistan.wikia.com page on the Emergency, including links to news articles, actions and other resources. South Asia Citizens' Web page on the Pakistan Emergency featuring statements from various community groups. We regret to inform you that Dr. Ayesha Siddiqa has fallen seriously ill in New York and will NOT be coming to the Bay Area to give talks at Stanford (Sep 28) and Berkeley (Oct 1) Whereas the Berkeley event has been completely called off, FOSA plans on meeting at the Stanford venue on Friday Sep 28, 6.30pm, and read excerpts from Military, Inc., Ayesha Siddiqa's book. We also plan to show a video interview of Ayesha Siddiqa. Learn how grassroots movements in India's state of Maharashtra have defended people's rights to healthcare and the rights of farmers displaced by dams and drought. The event is co-sponsored by South Asians for Collective Action, Friends of South Asia, India Relief and Education Fund, San Jose Peace Center, Our Developing World, and Women's International League for Peace and Freedom, San Jose. Hashmeya Mohsen al Hussein is the first woman to head a national union in Iraq. She was born in Basra in 1955. Following high school, she went to work at the Southern Company for Electricity. She is now the President of the Iraqi Electrical Utility bWorkers Union. Faleh Abood Umara is a founding member of the oil workers union and has worked for the Southern Oil Company in Basra for 28 years. He is now the General Secretary of the Iraqi Federation of Oil Unions. This event is a rare opportunity for people in the US to dialogue directly with Iraqi workers and labor leaders about current attempts to control Iraq’s oil, women's issues under the occupation, and the role of unions in creating a non-sectarian, progressive Iraq. These courageous leaders struggled for years against Saddam Hussein’s repression. Now they have stepped forward to organize workers seeking to improve conditions at their workplaces and in their lives under the difficult conditions of occupation, sectarian division, and violence. They are fighting not only for basic labor rights for all workers but also for women’s equality and against privatization of their national resources. The San Jose event is co-sponsored by South Bay AFL-CIO Labor Council, Building & Construction Trades Council, Communications Workers of America Local 9423, Plumbers & Fitters Local 393, Laborers Local 270, California Nurses Association, South Bay Mobilization, San Jose Peace Center, Women’s International League for Peace and Freedom, Friends of South Asia, Veterans for Peace, Labor Party, Green Party of Santa Clara County, Arab-American Cultural Center, Our Developing World, and Students for Justice-SJSU. Endorsed by Peninsula Peace and Justice Center. Narika is a SF Bay Area based domestic violence helpline for South Asian women. Narika's first galaevent on Saturday, May 19 is a celebration of Narika's 15 years serving the South Asian community. Come for a night of great food, entertainment, a fabulous silent auction, and a night of inspiration. We at Friends of South Asia are proud to be Narika's networking partner for this celebration. Narika's mission is to promote the empowerment of women in our community to confront and overcome the cycles of domestic violence and exploitation. Narika works to build a movement to end violence against women and to actively support women's rights as human rights. The Campaign to Stop Funding Hate has released a new report titled "Lying Religiously: The Hindu Students Council and the Politics of Deception" (April 15, 2007). This report lays out the deep connections between the Hindu Students Council (HSC) and the Nazi-inspired Sangh Parivar, the violent, extremist, Hindu chauvinist network of organizations spawned by the RSS in India . The Sangh Parivar has a long history of carrying out violent activities in India , including the assassination of Mahatma Gandhi and the pogroms in Gujarat in 2002 in which more than two thousand innocent India citizens were murdered. While laying out in detail the close and multi-dimensional relationships between HSC and the Sangh Parivar, the report also points out how HSC has been deceptive in its efforts to recruit Indian-American students by hiding these relationships. "Most of the young desi Americans who join the HSC have no clue as to the connections between the HSC and the militant and violent Hindu right wing in India " says Samip Mallick, one of the campaign coordinators for CSFH. "We fully support the creation and existence of Hindu student organizations on college campuses, but we are unable to condone the Hindu Student Council's continued misleading of college students regarding its ties to the Sangh Parivar," he continued. The "Lying Religiously" report is available at http://hsctruthout.stopfundinghate.org/ A radio interview with Samip Mallick, a former HSC member and one of the authors of "Lying Religiously" is available here. The Kashmir Issue 60 Years Later: Rethinking The Kashmir Conflict A conversation with Beena Sarwar and Huma Dar Tuesday, May 8, 7pm Room 030, Bldg 200, Stanford University Kashmir has been an ideological and physical battleground for Pakistan and India since independence in 1947. What is the place of Kashmir in South Asia, and in the world? What are the social implications of this conflict? Join us for a discussion with Pakistani journalist Beena Sarwar, currently at the Carr Center for Human Rights Policy at Harvard University, and Huma Dar, a South Asian Studies scholar at UC Berkeley. 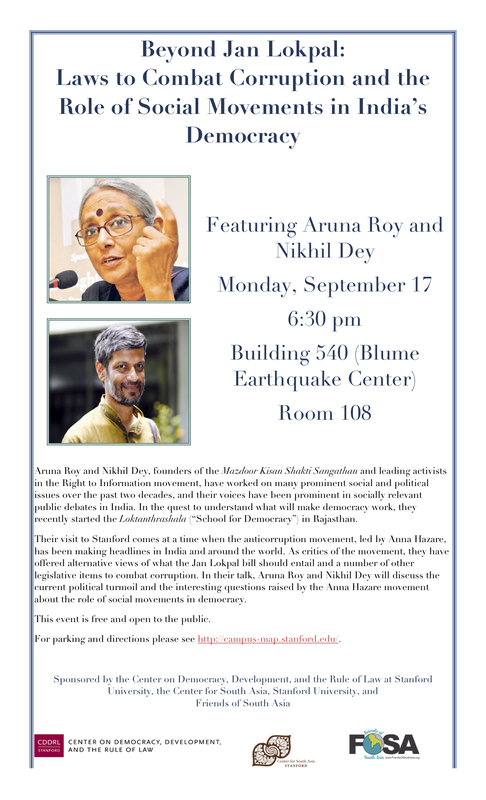 Event co-sponsored by Pakistanis at Stanford, Center for South Asia (Stanford), Sanskriti, and Friends of South Asia. Saacha weaves together poetry, paintings and memories of the city to explore the modes and politics of representation, the relevance of art in the contemporary social milieu, and the decline of the urban working class in an age of structural adjustment, the dilemmas of the left and the trade union movement and the changing face of a huge metropolis. Naata is about Bhau Korde and Waqar Khan who work with neighborhood peace committees in Dharavi, Mumbai, to promote conflict resolution through the collective production and use of visual media. When the deadly riots of 1992-93 tore the city and their community apart, Korde and Khan were moved to act, working to change both the negative perception of Dharavi and erase religious and ethnic divisions. Anjali Monteiro is Professor, and K.P. Jayasankar is Professor and Chair at the Centre for Media and Cultural Studies, Tata Institute of Social Sciences, Mumbai. Jointly they have won thirteen national and international awards for their films. For further details see event home page. Still Playing With Fire? Reflections on NGOs, Empowerment and Activism Through a Journey of Sangtins Thursday, Apr 19, 6pm, BERKELEY Friday, Apr 20, 6.30pm, STANFORD A conversation with Richa Singh, Surbala Vaish and Richa Nagar, three of the nine authors of Playing with Fire. Playing With Fire emerged from close dialogue among eight NGO activists in Uttar Pradesh, India, and a professor and writer based primarily in the US. PWF interweaves stories about the lives of seven village-level NGO activists, beginning with their collective analysis of poverty, casteism, and communal untouchability in childhood; the abuses that frequently accompanied their marriages; to their triumphs as NGO workers; to a critique of this NGO and, more generally, of donor-driven empowerment. The book was first published as "Sangtin Yatra" in Hindi in India in 2004, and has subsequently spawned a social movement in the Sitapur District of Uttar Pradesh. India's emergence in the nuclear energy and nuclear weapons arena comes at a colossal human cost. Jadugoda, a tribal town in a mineral-rich belt in Jharkhand, is the only source of Uranium in India, and the indigenous people of Jadugoda have been paying with their lives - seeing their community's health destroyed, their environment devastated. To resist the occupation and devastation of their land by the uranium mining, the people of Jadugoda have organized themselves as JOAR--the Jharkhandi Organization Against Radiation, and their demands range from better safety measures against radiation, to protection of their environment, to opposition of planned open-cast uranium mines. We will also get to speak with/hear from Ghanshyam Birulee and Dumku Murma, grassroots activists from JOAR, who have been at the forefront of this decades-long struggle for justice and basic human rights, as well as Shriprakash, the filmmaker of the above mentioned documentary. Presented by Sanskriti - Stanford University, and co-sponsored by South Asians for the Liberation of Falastin, Friends of South Asia, South Bay Mobilization, Coalition for Justice in the Middle East (CJME), OASIS (Organization of Arab Students in Stanford), Pakistanis at Stanford, Students Confronting Apartheid in Israel, Muslim Student Awareness Network, Stanford (MSAN). Arvind Kejriwal is an Indian social activist and founder of Parivartan, a New Delhi based citizen's movement working to ensure a just, transparent and accountable governance. He won the 2006 Ramon Magasaysay Award for Emergent Leadership, for his role in India's Right to Information movement, a campaign aimed to empower its poorest citizens to fight for justice and against corruption by holding the government answerable to its people. Co-sponsored by AID (Association for India's Development), and Friends of South Asia. Clear-eyed, sharply reasoned, and compassionate, One Country proposes a radical alternative: to revive an old and neglected idea of one state shared by two peoples. Ali Abunimah is a prominent Palestinian author, media voice, and frequent commentator on KPFA. He is the founder of Electronic Intifada, electronicintifada.net, an internet gateway about Palestine and the Palestine – Israeli conflict. P. Sainath is Asia's leading development journalist, writing frequently about issues such as poverty and the effects of neo-liberalism on India. Through his work on the livelihoods of India's rural poor, Sainath has changed the nature of the development debate in his own country and across the world. Alexander Cockburn is the co-editor of CounterPunch, a nationally syndicated author, and is considered one of the foremost reporters and commentators on the left. Subhendu Ghosh is a Hindustani Classical vocalist, dramatist, music director, cultural and social activist. Join us in celebrating 25 years of Pratidhwani - music and drama in the service of people's movements in India. & Joint Celebration of Indian and Pakistani Independence Days South Asian Writings on "Asymmetric Wars : Asymmetric Worlds"
Stop the US-Israeli War in Lebanon and Gaza! The arrogance with which the Israeli State can hold so many millions of lives hostage and take upon itself the task of "turning back the clock on Lebanon by 20 years" is astounding. The unstinting support of Israel by the US government, which is egging it on in its efforts, arming it to the hilt with new and massive weaponry, and scuttling all efforts towards a ceasefire, is outrageous. Join FOSA, South Bay Mobilization, and other community organizations at the National Emergency March in San Francisco on August 12, organized by the ANSWER Coalition. Rallies are to be held simultaneously in several major cities across the country, including Washington D.C., New York City, Chicago, San Franciso, Seattle and Los Angeles. We at Friends of South Asia are alarmed at reports that FIA (Federation of Indian Associations) and GANA (Gujarati Associations of North America) have extended invitations to Gujarat Chief Minister Narendra Modi and Gujarat's Health Minister Ashok Bhatt, to attend the GANA convention on July 7-9, 2006. Please join us and an array of other organizations and individuals who believe in a secular, democratic and pluralistic South Asia, in registering your protest at these invitations. Prof. Shukla is a leading figure in India's People's Science Movement (PSM). A former professor of Physics at IIT Kanpur, Prof. Shukla has made significant contributions to the philosophy of People's Science and has been active in labor movements and alternative development in India. The talk is organized jointly by Friends of South Asia and South Asians for Collective Action. For more information, visit the event homepage. Reservation Policy in India for Socially and Economically Backward Communities (OBCs) June 9, 2006 - Press Release We believe that affirmative action policies such as reservations play a key role in the empowerment of historically marginalized communities. Hence we are disappointed and saddened by the recent spate of protests by students of elite institutions and urban professionals in India against the Indian federal government's proposed policy to provide reservations for an array of socially and economically disadvantaged communities, officially designated as Other Backward Classes (OBCs). We call upon members of the Indian/Indian American community to reject positions that seek to further upper-caste privilege at the expense of true social justice, and seek solutions that truly benefit ALL of Indian society. Visit FOSA's main webpage on reservations here. A Panel Discussion and Q & A session on Taxi Driver Organizing featuring Biju Mathew & Seyoum Asrat and Kirpal Bajwa (taxi organizers in San Jose). 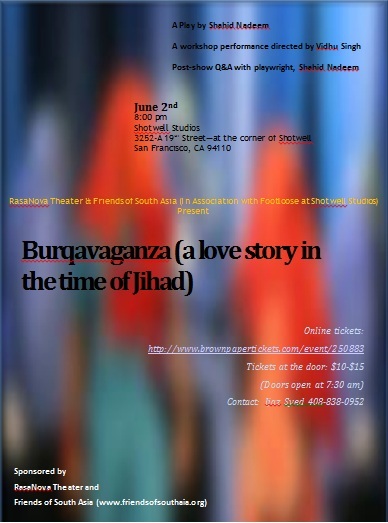 Friends of South Asia is co-sponsoring staged readings of the play, Kala Pul - The Black Bridge, a creation of San Francisco based playwright, Saqib Mausoof. Kala Pul chronicles the cultural, political, and religious conflicts of fictional characters in 21st century Karachi - a teeming metropolis of 15 million in Pakistan, which is a frontline state in the so-called "war on terrorism". The play is a kaleidoscope on the vibrant cultures of Karachi, described as one of the most violent cities of the world. The title, Kala Pul, is based on a bridge in the city which connects the affluent parts of the city to the lower income area. Arsalan (the protagonist) grew up under the shadows of the Kala Pul, caught between the two worlds of haves and have nots, one world of MTV inspired 'burgers' and other of the left behind fodder for the Kalashinikov culture. UPDATE, Apr 30, 2006 - Press Release by FOSA and CAC, Court transcipt. - A recently-released transcript from the Superior Court of California reveals that the Hindu American Foundation (HAF) and its allies have misled the media and public about the proceedings during the court hearing on April 21, 2006. At that hearing, the Superior Court of California in Sacramento denied the Hindu American Foundation (HAF)'s demand for a preliminary injunction against the publication of new sixth-grade textbooks. Apr 24, 2006 - Press Release by FOSA and CAC - The Superior Court of California in Sacramento has rejected the Hindu American Foundation (HAF)'s demand for a preliminary injunction against publication of new sixth-grade textbooks. Several community groups applauded this decision calling it a victory for secularism and pluralism, and a victory for the children of California. Mar 8, 2006 - Press Release by FOSA and CAC - Representatives of women’s groups and gender studies faculty held a press conference this afternoon at the State Board of Education (SBE) to commemorate International Women’s Day and to urge the Board to adopt textbooks that accurately depict the history of women’s struggle against oppression. Feb 28, 2006 - Press Release by FOSA and CAC - The intense struggle over the content of Indian history in California textbooks ended yesterday afternoon at 2 p.m. with the special committee of the California State Board of Education [SBE] voting unanimously to overturn a majority of contentious changes proposed by Hindu right-wing groups to California school textbooks. We are deeply concerned by the deteroriating situation and gross human rights violations in Balochistan where the Pakistani Army has started a military operation against innocent civilians. 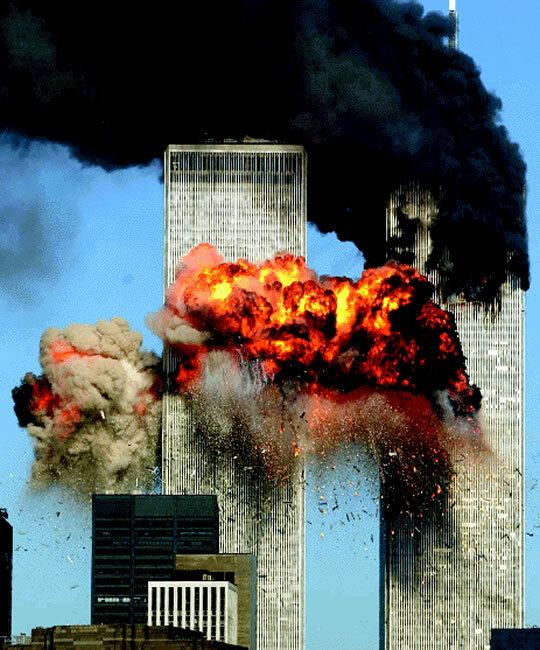 Nearly one-hundred people have been killed, many of them women and children. We implore that military operations be stopped immediately in order to prevent civilian casualties, and that media and human rights officials be allowed to visit the area in order to develop a free and objective assessment of the situation. A series of rallies are being organized across the US and Canada over the next few weeks. For more details click here. We at Friends of South Asia are shocked and appalled by the magnitude of the tragedy unleashed by the earthquake that hit the Kashmir region on Saturday October 8th. Tens of thousands are dead, with the count still rising, and the lives of millions of people in South Asia (spanning Pakistan, Afghanistan and India/Pakistan-administered Kashmir) have been devastated. In this hour of need we urge you to support the work of hundreds of numerous grassroots organizations and NGOs that are stepping up to provide relief and rehabilitation. Read FOSA's statement urging support for relief and rehabilitation efforts. Also, here's information on how YOU CAN contribute to these efforts. BEYOND BORDERS A Benefit for Survivors of the South Asian Earthquake Saturday November 19, 7pm. Wheeler Auditorium, Berkeley Ekta and Friends of South Asia, along with a wide array of organizations in the SF Bay Area, including many groups of the South Asian Diaspora, have come together in order to show solidarity and work toward this important cause. By purchasing tickets to this benefit event, you get to attend a great concert featuring artists of varied styles and following - including Indian/Pakistani classical (vocal and instrumental), spoken word, dance, and much more. But more importantly, every dollar you contribute by way of ticket purchase or donation, will go directly towards earthquake relief . Read Press Release (Nov 8, 2005) here. Stalin K. is a community media activist, one of the founders of the Drishti Media Collective and a key spokesperson for the movement to democratize India’s airwaves. Stalin K. will screen his films “Gujarat- A Work in Progress” and “Lesser Humans / Venth Chetha” and speak about his work as an activist in the areas of literacy, mass popular education and women's empowerment. He will also discuss his work with "Video Volunteers" and the role of community media in empowering people to be partners in the development process and in the struggle for social justice. FOSA invites you to participate in this important discussion about the advocacy work of community media, particularly in a media landscape that has been colonized by corporate interests. Friends of South Asia is participating in the National March in San Francisco organized by the ANSWER Coalition - which ties into coordinated mass-mobilization events all over the world to say NO to the War in Iraq and imperialist wars and occupation all over the world. FOSA will be participating as part of the APICAW (Asian and Pacific Islander Coalition Against War) "Strength in Unity" contingent, which is a coalition of Asian, Pacific Islander and South Asian individuals and organizations in the SF Bay Area.To join us, come to the march and look for the "South Asians against the War" banner. Details are still under development. Watch this space for more info or contact us via email at mail<at>friendsofsouthasia<dot>org. Join the South Asian community in the SF Bay Area and show your solidarity to the marchers in India and Pakistan, who are threading across the subcontinent on a 6-week mission of establishing people-to-people contact, negating the tendencies of distrust, hatred and enmity, and spreading the message of peace and harmony. More details at the Indo-Pak peace march mainpage. Through six weeks, Indians and Pakistanis from all walks of life will march together for peace, starting at New Delhi, India and ending in Multan, Pakistan. The march hopes to provide a unique opportunity for people-to-people contact, for people to inter-mingle, reflect on, and negate the destructive tendencies of distrust, hatred, and enmity, and spread the message of peace and harmony. The march is a grass-roots initiative for peace and friendship, coordinated by the Indian and Pakistani chapters of the Pakistan-India People's Forum for Peace and Democracy (PIPFPD), in association with a broad array of supporting organizations. A core marching team of about 100 Pakistanis and Indians will lead the march, to be joined by thousands of people at different villages, towns and cities enroute. We at Friends of South Asia stand in solidarity with the peace march, and share the renewed hope for lasting peace in the region. FOSA is considering various ways to build momentum around the march, and hopes to mobilize the South Asian diaspora in the SF Bay Area for solidarity events in parallel with the march. Visit our Indo-Pak Peace March main-page for more information. Where: Room 104, Gates Bldg., Stanford University For details on the theme and works featured, visit the Literary Evening main-page. The basic mission of the "Friends of South Asia" is to achieve a peaceful, prosperous, and hate-free South Asia. The group works towards a demilitarized, nuclear-free South Asia; bringing together people with roots in various parts of South Asia, as well as other well-wishers of the region. FOSA promotes respect for and celebrates the diversity and plurality of South Asia, promoting amity between countries and communities and working towards a South Asia where the rights of all minorities are respected and protected; regardless of religious, ethnic, sexual or other differences. FOSA stands in solidarity with other like-minded organizations working on the ground in South Asia; amongst the South Asian diaspora around the world; as well as organizations that share our aspirations for a peaceful world--a world in which every human being can live a full and fruitful life without fear or hindrance. FOSA aspires to work through people-to-people contacts, dialog, and other non-violent, non-exclusionary means.